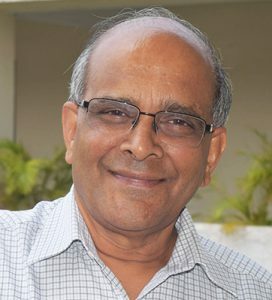 Narayana Jayaram was Former Director of the Institute for Social and Economic Change, Bangalore (2006–08). He teaches Research Methodology for Master of Public Policy Programme. He was born in Bangalore, on 20 January 1950. He has had all his education in Bangalore: BA (1970) in Economics, Political Science, and Sociology from St. Joseph’s College; MA (1972) and PhD (1976) in Sociology from the Department of Sociology, Bangalore University. He has taught Sociology in various capacities at Bangalore University (1972–99) and Goa University (1999–2003), and Research Methodology at the Tata Institute of Social Sciences, Mumbai (2003–15). He has visited and lectured at various institutes and universities abroad, and during 1994–96 he was Visiting Professor of Indian Studies at The University of the West Indies (St Augustine), Trinidad and Tobago.